Today I met Bob Nightingale a blacksmith of forty years who runs his shop just near the entrance to the Blisworth Tunnel. Bob is an honest man with honest stories to tell — and he will tell them to you until your ears fall off…. He’s the sort of relentless raconteur that part of you wants to immediately escape — but the other part is fascinated with. I chose to listen, and an hour later was a wiser and better man. Bob knows his place. He knows that he is one of the few carrying on an age-old tradition of personal pride in craft and excellence. He is the modern maker of all things that only a blacksmith can make. Once these things were nails, hinges, plow blades, lock plates and tolls of all variety — now they are custom arrow tips for the elite who seek to become one of “The Queen’s 100”, the finest archers in Britain who are part of HM’s personal guard( if she ever goes to war) and swords for competitors in horse mounted competitions that require striking 6 targets in 180 yards at a full gallop. 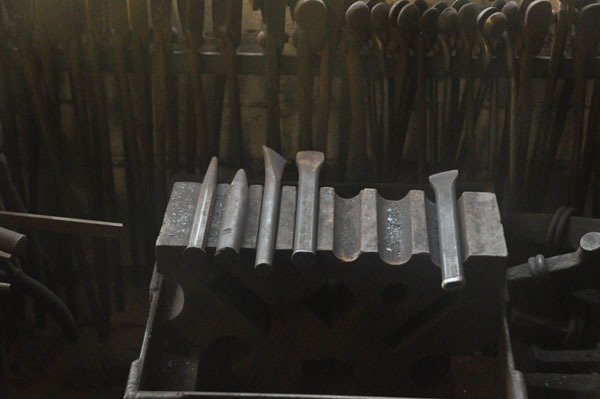 Bob also makes more pedestrian gear like two-prong tips for narrowboat “boat hooks” and small scale fireplace tools for boat stoves — and coat hooks and candle stands for the tourists. 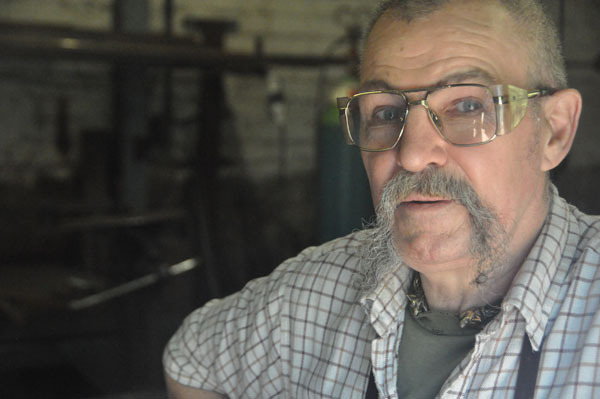 He has had eight apprentices who spend a year just learning how to work the forge and the hammer — before they can move on learning to create with iron and steel. Last week Bob went back and made a sewing needle at the forge — just to be sure that he still could do it. Bob will tell you that his coke-fired forge will heat to 5,000 degrees and that a real blacksmith with land 7,000 blows with his hammer in an average day. He has been asked often to make Damascus steel blades. but rarely does when the customers learn that it takes three months to forge the billet from which a blade will emerge. He says that a King’s sword would take one man one year to create. Yes — think — “Game of Thrones”. Bob has a son who is an accomplished gunsmith who makes specialised rifles for the elite of Britain’s sniper core. The son works at an undisclosed location where there are many people who do not want to be known or named go to get “fitted” for individually crafted weapons — including large-bore sniper rifles designed for a helicopter mounted prone platform. These guns are currently used by Britain in the effort against Somali pirates which requires a very heavy and accurate bullet that can penetrate the pirate boat engines. Bob showed me a photograph that he had accidentally taken into the sun which he believes reveals the existence of our solar system’s “missing planet” that has an orbital cycle of 3,000 years, moving perpendicular to the rest of the planetary orbits. 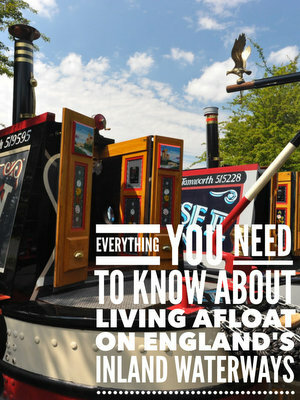 By now I am edging toward the door with my boat hook tip in hand, and wishing him well in the continuation of his craft — and hoping that his uniquely wonderful British eccentricity will also be carried on by other fearless story tellers. I returned just in time to arrive back at the boat and find a gaggle of primary school kids and their teachers admiring “Stardust” — so we ended up inviting them to walk through the boat, including our 19″ telly. They were exceedingly polite, fascinated with the toilets and as thrilled as a bunch of chattering birds to be on a real narrowboat! Who knew we would become a tourist attraction so soon?